Seriously? We’re asking how a church can model love, trust and respect? Thank-you. For the heartfelt support that poured through social media and across email in response to the blog about my experience of family abuse as a child. I heard from old school friends who were horrified they did not know. Teachers who wanted to know what signs they had missed. Other victims, survivors, valiant warriors. And Christians, so many, who urged me to keep going. 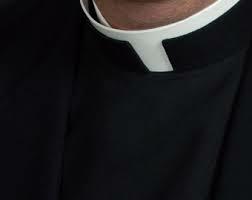 To push strongly the importance of safe ministry, domestic violence and educating the clergy. I don’t know. I hit publish then crept away and vomited. I wasn’t strong. I’m wobbling along on Christian training-wheels here, let alone some domestic abuse specialist with insight into ministry. Well, less than 24 hours later, I heard lots of voices. Strongly. From all of you. How can I ignore voices such as these? From others, who acknowledged it was their pastor and their faith that got them out their situation, and gave them the strength to rebuild. I love my church. Its community has offered me renewal in times of trial. But the overall system of the ‘Bride of Christ’? I dare say it’s as packed full of politics as parliament. The response over the years to dealing with abuse has not been the bastion of truth, justice and mercy one would hope. So the light needs to shine. Light disinfects. As a new Christian, I don’t want to have to defend my faith. I want to smile and uphold it for the source of joy it is. To say, “How awesome is it that faith and church helped a woman leave an abusive marriage?” rather than be caught in a war of doctrine around ‘submission’ ‘headship’ etc. I don’t want to watch a wave of stories come out about Christian leaders engaged in abusive behaviour that has been been covered up. Clean out the dark corners. Be less parliament (pharasees anybody?) and more Jesus. As the comments came in, I kept going back to one in particular: We need honour back in common conversation, behaviour and action. It was a familiar echo of something I had read before, I just couldn’t put my finger on it. Ah, yes, that big book called The Bible. In the same way, let your light shine before others, that they may see your good deeds and glorify your Father in heaven (Matthew 5:16). ← Church doctrine & domestic violence. Stop blaming. Start fixing.